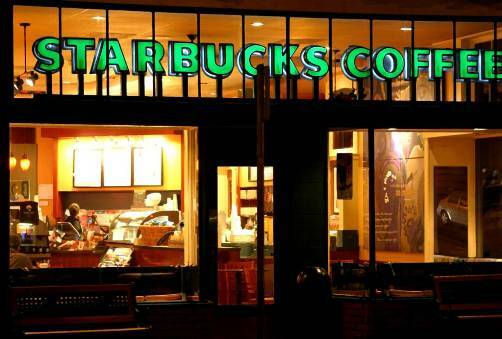 Overall, the Starbucks gift card accounts for 25 percent of U.S. tender, Schultz said. He noted that the Starbucks gift card was likely the most popular gift item of the 2012 holiday season. More than $1 billion was loaded onto Starbucks gift cards in the quarter (a 25 percent increase over the same period last year), and one in 10 adults in the U.S. received one as a gift. What’s more, 20 percent of card transactions at Starbucks locations were conducted using the mobile app, Shultz said. Over 7 million customers now use one of our mobile payment apps, translating into 2.1 million mobile payment transactions each week, with hundreds of thousands of additional Starbucks mobile app downloads each week. It wasn’t just about payments either. The integration of the Starbucks loyalty card with the payment app meant that the company added 1.4 million members in Q1 of 2013. That’s an increase of 86 percent over last year’s 778,000 new members for the same quarter, Schultz said. Clearly, loyalty plays a strategic role at Starbucks. They ‘get it’ – loyalty is a strategic game changer. “Earn 1 Star every time you pay with your registered Starbucks Card or Starbucks mobile app at a participating Starbucks or our online store. As you collect Stars, you move up to bigger benefits. Get started by registering a Starbucks Card. Use your card once, earn your first reward. Sweet! Something to Drink or Eat On Your Birthday. Get a little extra birthday love with a free drink or food reward on your big day. Free Refills in the Store. We want you to feel at home when you’re at Starbucks. Paying with your registered Starbucks Card gets you brewed and iced coffee and tea refills at no charge during your visit at a participating store. Free Drink or Food Reward Every 12 Stars. Use your Starbucks Card 12 times and the next one’s on us. For more information, visit the Starbucks Rewards Website.